~ Full day of transportation. 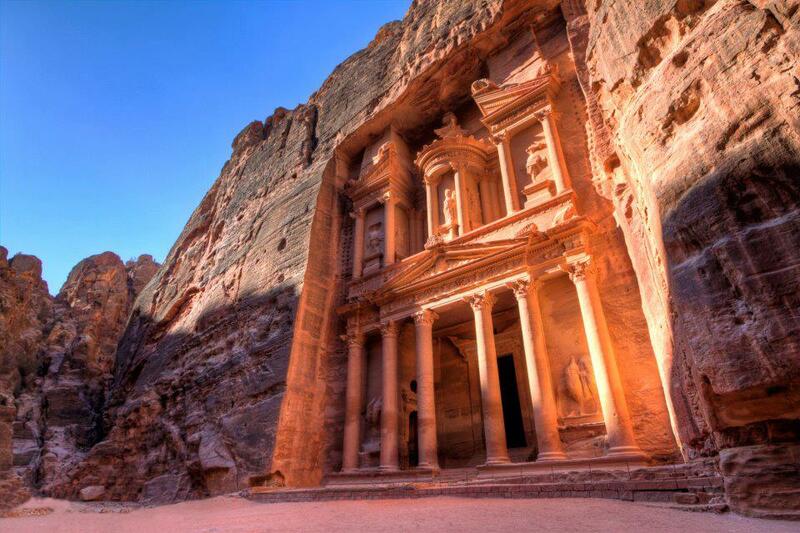 ~ Entrance fee to Petra site + English-speaking guide. ~ Transfer back to the point of departure. 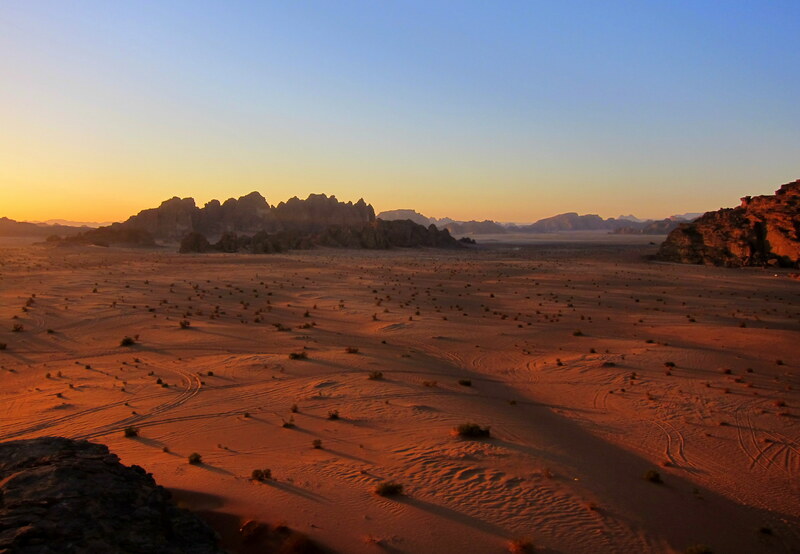 ♦ Jeep safari tour in Wadi Rum and transfer back to your point of departure. * Visa issue of 60$ USD is not included..
♦ Lunch at a local authentic restaurant. 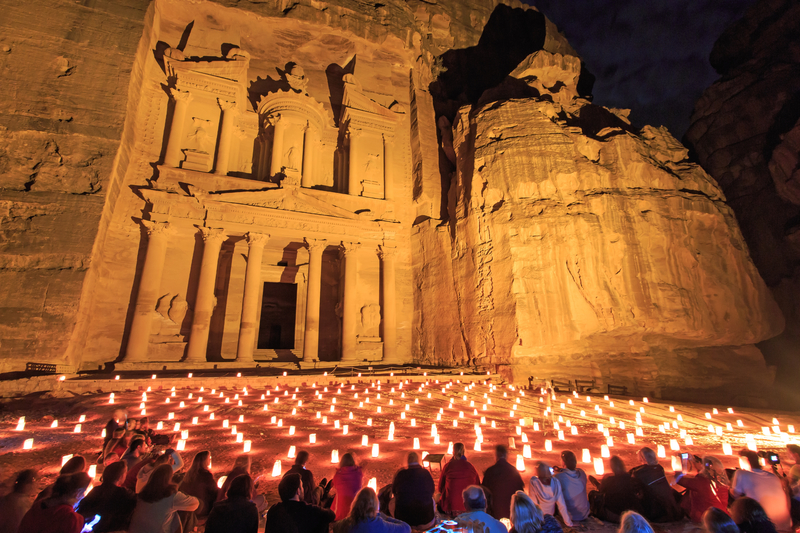 ♦ Night in a 3 stars hotel/Campsite in Petra + breakfast in the next morning. 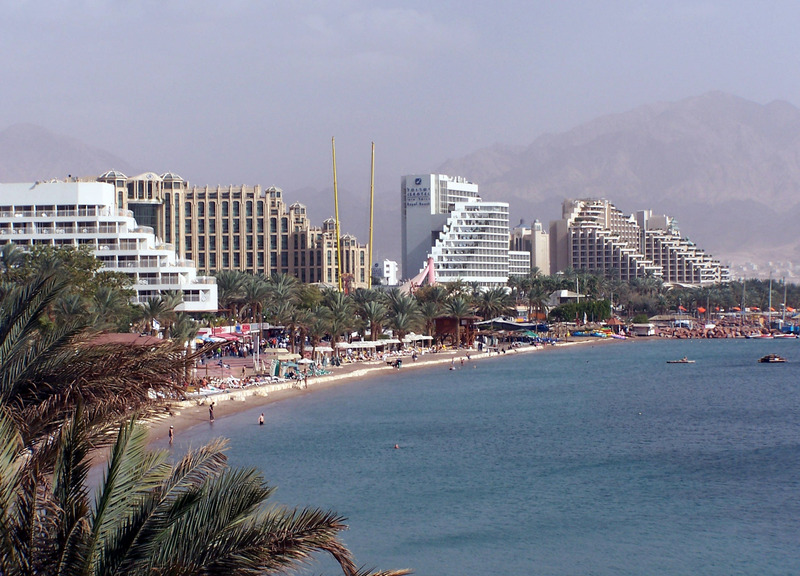 ♦ Night in a 3 stars hotel in Aqaba, and breakfast in the next morning. 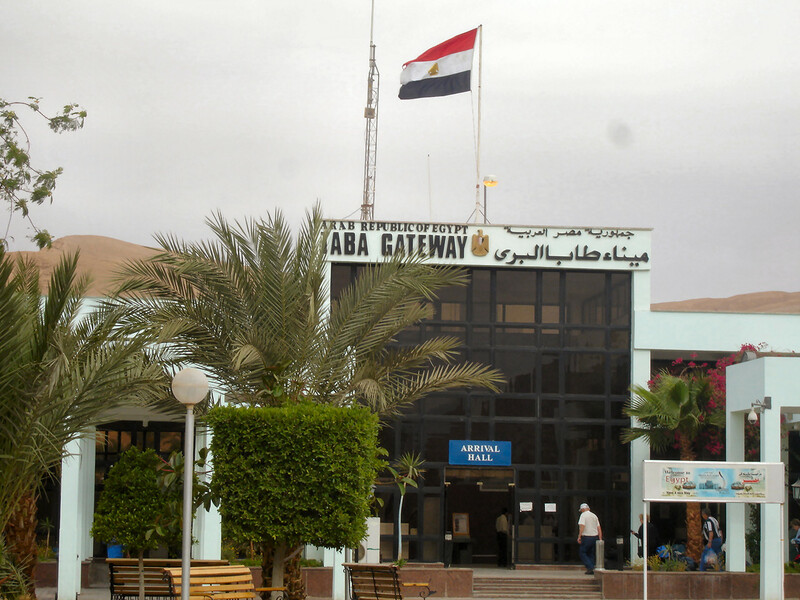 ♦ Overview city tour of Aqaba(if time permits) and transfer back to the point of departure. 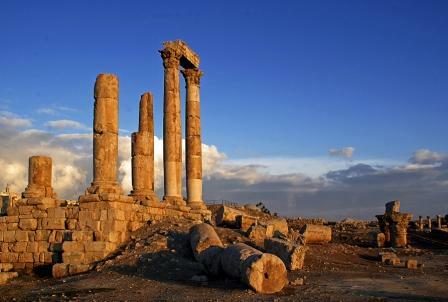 - Pick up from Tel Aviv or Jerusalem. - Assistance crossing the border. 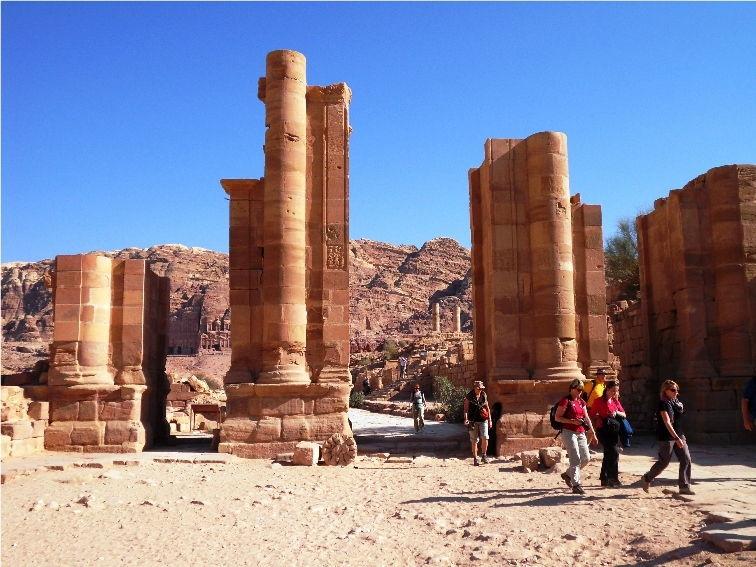 - Transport to Petra, entrance fee, and 3-4 hours walking tour with English-speaking tour guide in the site. 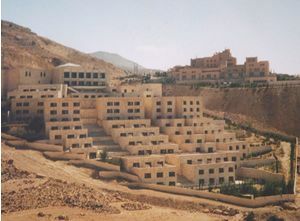 - One night at a 3 stars hotel in Wadi Musa in Petra. 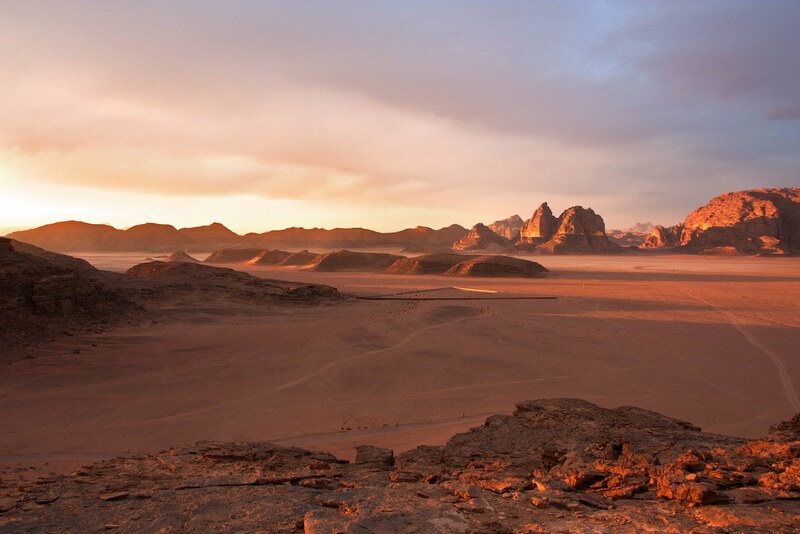 - Transfer to Wadi Rum with an overnight in a Bedouin camp and a jeep safari tour in Wadi Rum. 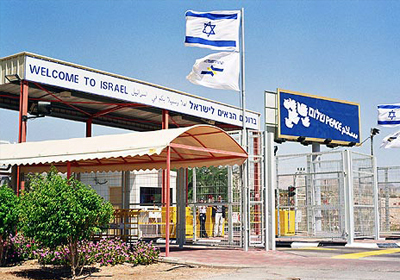 * Border taxes between Israel and Jordan $65 USD (collected in cash at the border). - Pick up from your hotel/airport and transfer to the border. - Transport back to your point of departure. 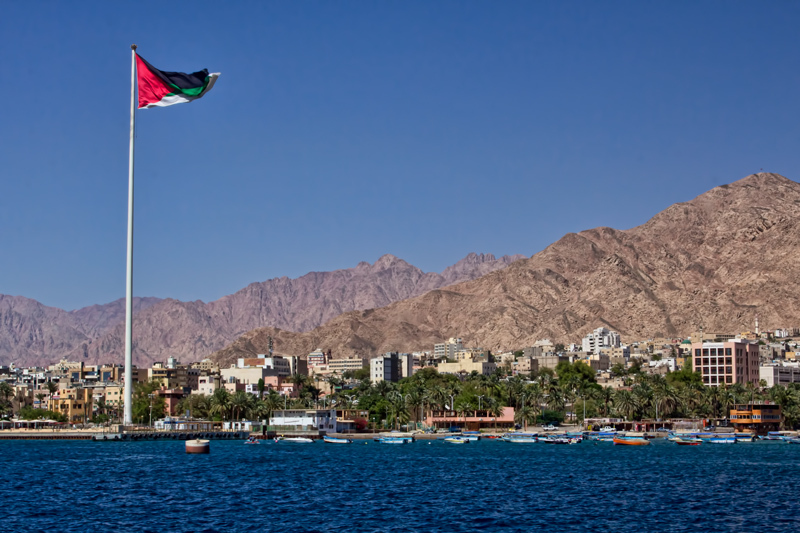 ♦ Panoramic city tour of Aqaba(if time permits) and transfer back to Eilat. * Flight is not booked Automatically. 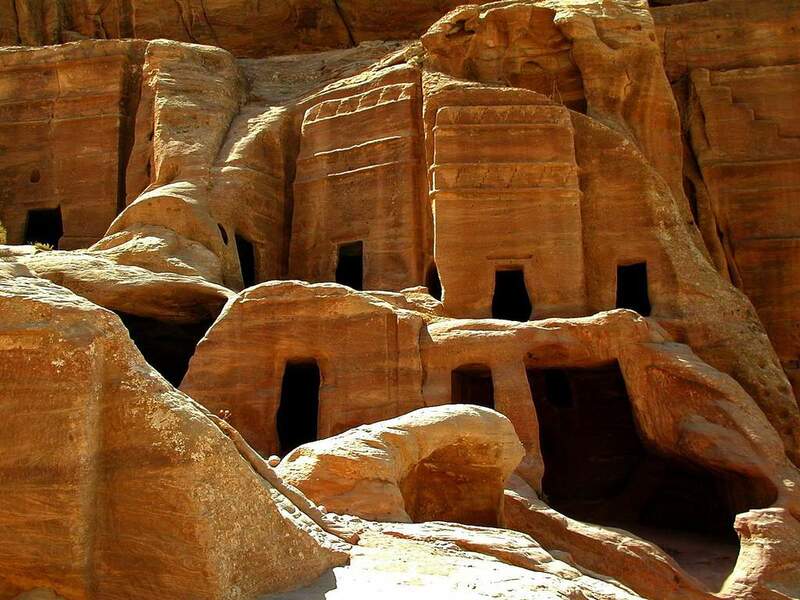 ♦ Transport to Petra - Overnight in a Bedouin Camp or hotel. Overlooking the rocky landscape of the Petra Mountains, this 4-stars hotel boasts a rooftop terrace with lounge chairs and sun umbrellas. 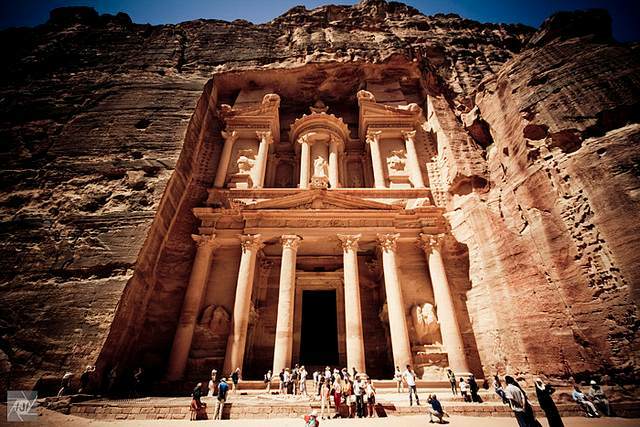 The Petra ruins are only a 7 minute drive away. The air conditioned rooms of the Panorama Hotel are equipped with large windows and carpeted floors. Each includes satellite TV and a mini-bar. 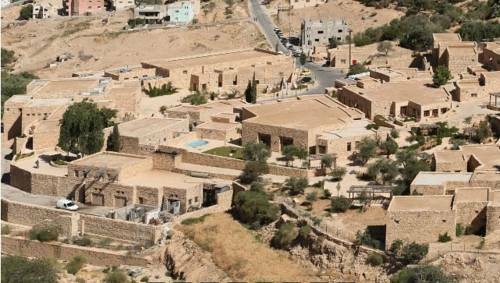 Petra Panorama Hotel is a 20 minute walk from Wadi Musa Valley and a 30 minutes drive from popular hiking sites. 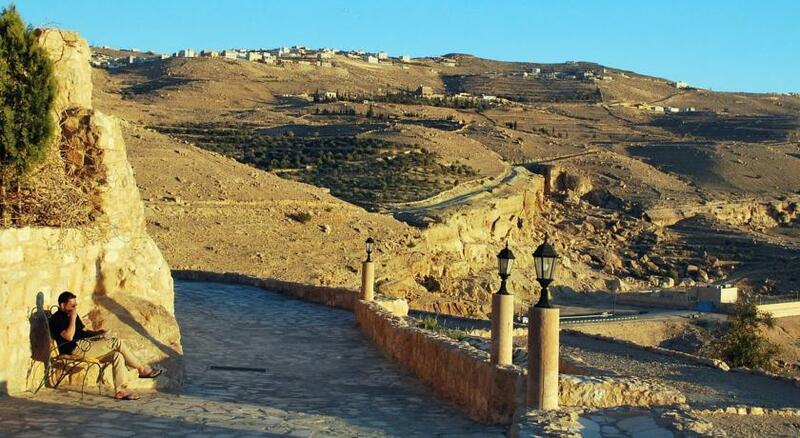 In Wadi Musa, Beit Zaman offers room with 19th Century-style furniture and satellite TV. Boasting stone architecture, the hotel has an indoor pool and a seasonal outdoor pool. All rooms feature traditional décor which include locally made tapestries and arched doorways. Each room has a well-stocked minibar, an in-room safe and a private bathroom. 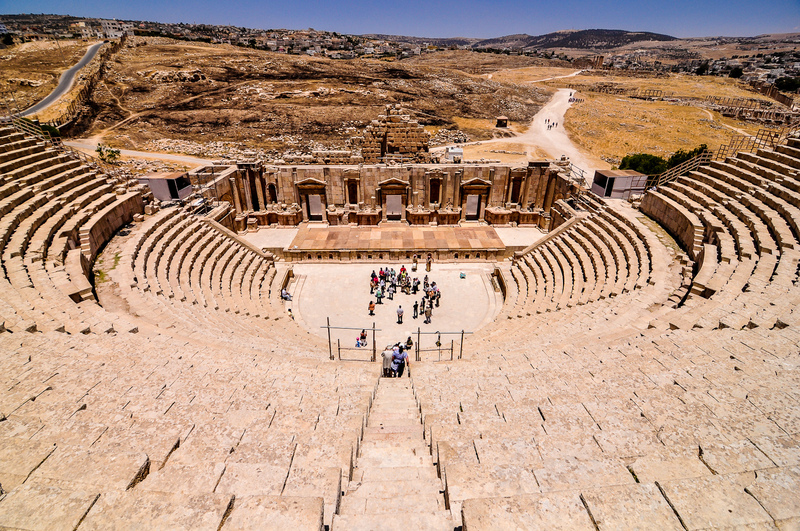 Formerly an ancient village called Taybeh, this 5-star resort offers stunning views of the Sharah Mountain Range. Facilities include a fitness room, a traditional hammam, and an outdoor pool. The air conditioned rooms at Taybet Zaman Hotel & Resort feature modern amenities combined with traditional decorations. All rooms have a sitting area, a flat-screen TV, and a minibar. Some rooms have a private bathroom with a jacuzzi tub. The resort’s hammam features original Ottoman features, and offers professional massages. There is also a handicraft souk (market), and a small shop selling a selection of incense, tea, hand soaps, and body creams. 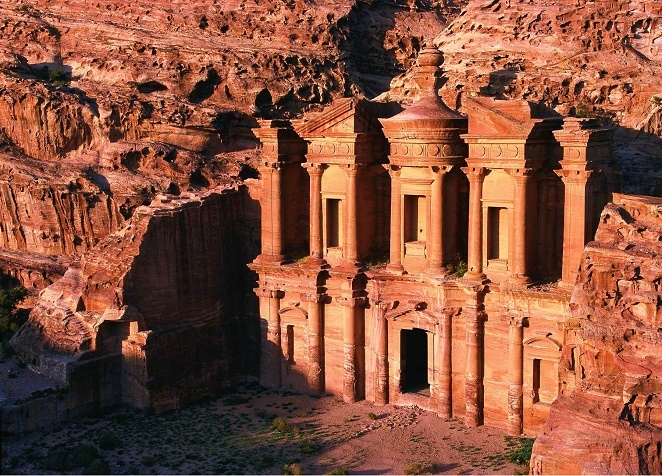 Petra Marriott Hotel offers comfort, luxury, and spacious rooms, most of them with spectacular views of the Petra Valley of the Rose Red City of Petra. Enjoy the outdoor pool and the beautiful views at sunset. Relax in the Turkish bath, sauna or with a massage. 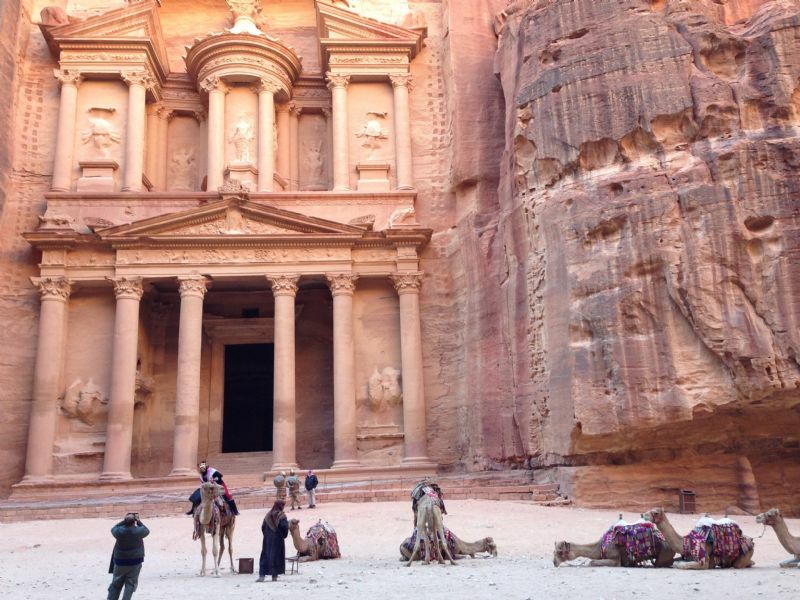 The hotel offers free transportation to Petra, a 5 minute drive away. It has lovely facilities for social and business events, beautifully decorated rooms with quality amenities, and restaurants serving international cuisine. 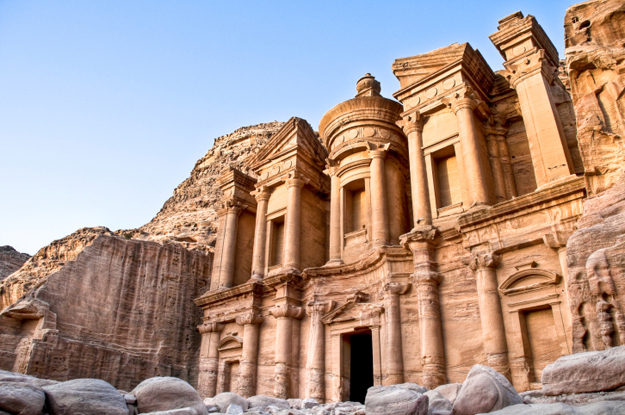 Featuring free Wi-Fi, the 5-star Movenpick Resort Petra is right at the entrance to the ancient city of Petra. 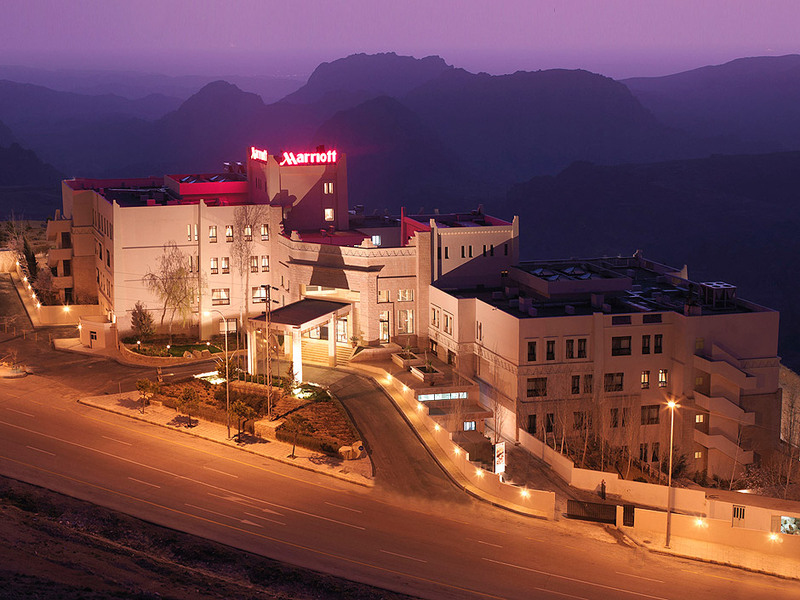 The hotel’s rooftop terrace offers views of the hills. 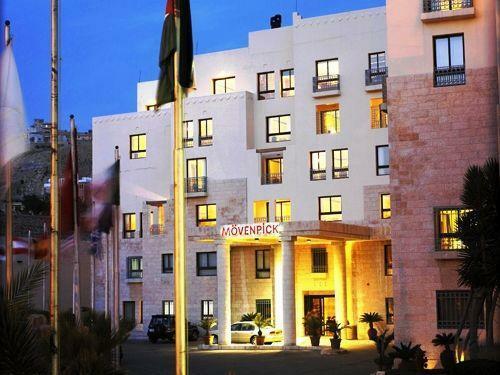 The newly renovated rooms at Movenpick Petra each have a private outdoor balcony. They feature white linens and bright windows. Each has a work desk and comes equipped with air conditioning and satellite TV. Guests can workout in the well-equipped fitness center or enjoy a cocktail in the hotel’s stately lobby. 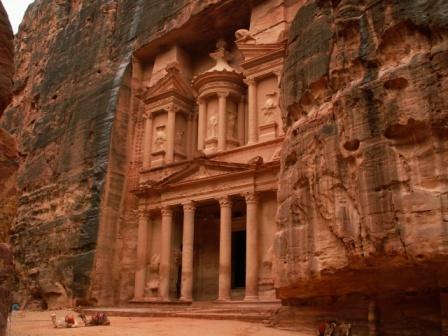 ♦ Transport from Petra to Eilat (hotels / hostels / airport / bus station). ♦ The transport is in a group. ♦ The type of vehicle is determined based on the number of passengers. ♦ The transport isn't private. 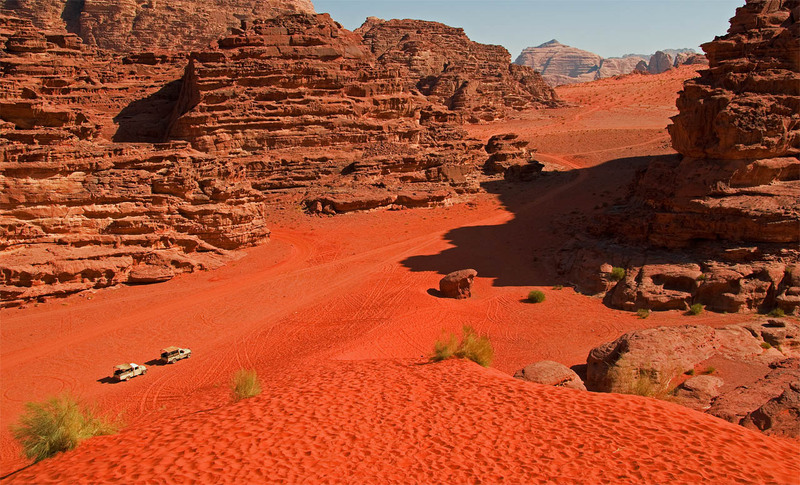 ♦ Transport from Petra to Eilat.